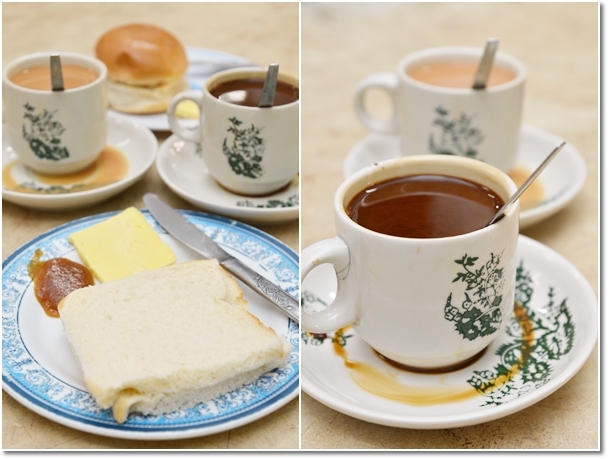 A Hainanese Kopitiam Story – Double Roasted Coffee to Kickstart a Sunday? 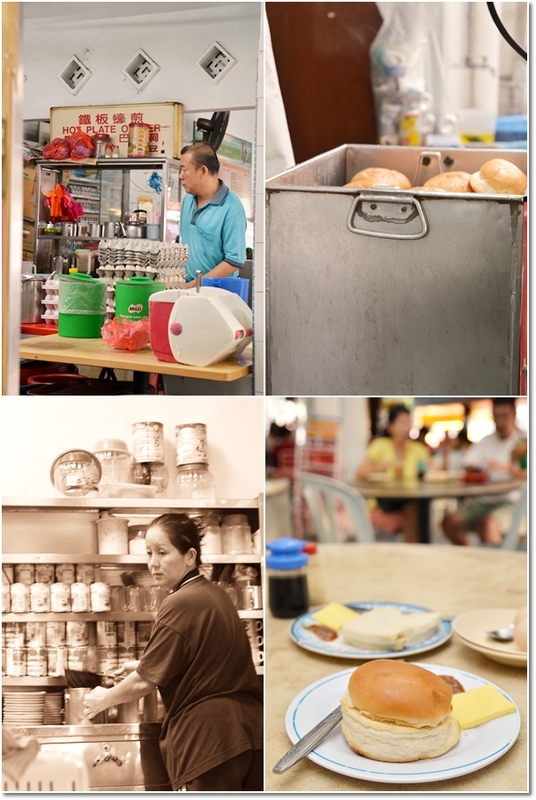 The Star Metro started a marathon of 10 highly-regarded kopitiams across the country yesterday; featuring a story about this almost unheard of Hainanese coffee shop bestowed with close to half a century’s worth of legacy in Taman Eng Ann of Klang. You must have noticed my fascination with Hainanese style of coffee stall (the recently retold story of Ah Weng Kor in Imbi kept my faith in check); a casual joint routinely featuring the breakfast ensemble of thickly brewed coffee, tea or Hainanese Tea which in its essence should be renamed to ‘cham’ and not forgetting the half-boiled eggs with runny yolks to envelop the toasted breads sandwiching a cold slab of butter and ‘kaya’ with. The moment I read about double roasted coffee beans with butter; and the same process being repeated ad nauseum since the owner’s late father’s times, I was sold. 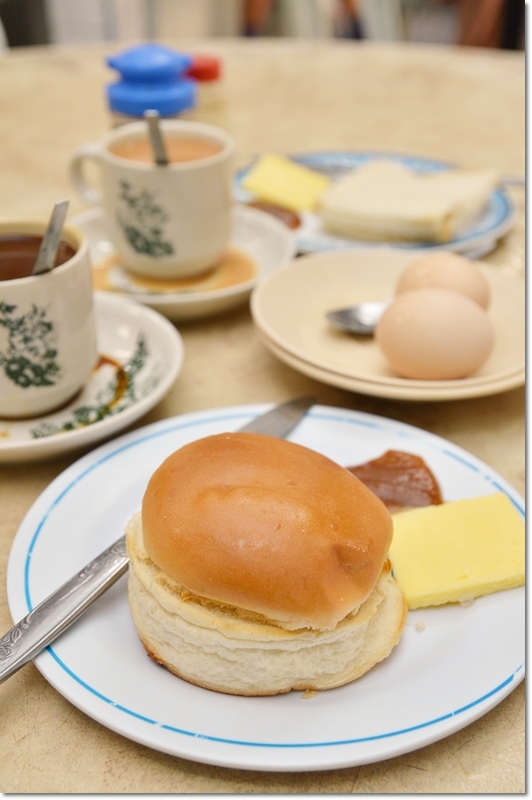 Eng Ann Coffee Shop started as Heng Lee Coffee Shop back in 1963; now the tradition retained without fanciful tweaks and passed on to the owner and her husband whom can be seen laboriously working up the crowd’s hankering for a good cuppa coffee and toast to bless their day with. Choose the sliced bread variety made from those fluffier-than-pillow variety of Hainanese loaf; perfect choice to be steamed or toasted. The side serving of a frozen slab of butter and a dollop of their signature coconut jam (better known as ‘kaya’) are meant to be slathered DIY. Or go for the round, palm-sized Apollo bun served in a similar manner. I would have preferred for the buns to be toasted so you can enjoy the whiffs of freshly-toasted bun and the crisp exterior, while the sliced breads to be steamed instead. Indeed, their coffee deserves so much more than just a pat on the back. An aromatic brew that was smooth, creamy with a faint smoky tinge from the roasting process, yet without the lingering burnt flavour that some old-timers may prefer from their kopi-kaw (extra thick coffee), but not for me, thank you. The milk tea was good, with a balanced shot of milk that lent the concoction a creamier finish than most tea that I have had in Klang. Or Klang Valley, for that matter. There are several stalls around the premise that serve chicken rice, noodles, confectioneries, etc. We sampled the spicy wan tan mee; tossed in a generous lash of chili paste (a bit like ‘sambal’), and chili oil lending a kick to the soup with two pieces of dumplings. A passable fare, yet not one that will draw me back compared to the breads, eggs and coffee. Oh yeah, I had two pieces of half-boiled eggs seasoned with pepper and a dash of soy sauce that went particularly well with the breads. You can opt for the smaller but tastier free-range chicken eggs, or the conventional farm eggs. In any case, if you wake up one morning and have had enough of Klang’s bak kut teh for breakfast, you know where to head to. Business Hours : 6.30am to 4.30pm, closed on Tuesday. 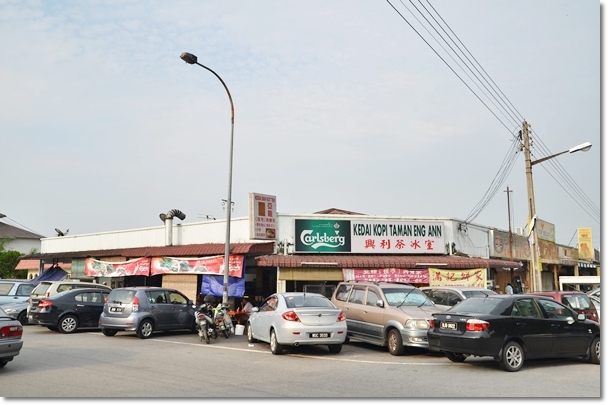 *Similar kopitiams within Klang include Chong Kok Kopitiam near to the train station, Cheong Foh coffee shop at Dataran Ocean (but they close on Sundays though) and Sin Kok Thye (New Cathay) in Port Klang. the coffee looks really thick, immediately you can tell of the good ingredient use. other kopitiam coffee uses oil fried coffee beans..
Yeah … I would say this is one of the better ones in Klang Valley. Even some Hainanese kopitiams make diluted coffee, or too thick of a brew without sufficient milk; infusing the beautiful brew with a creamy finish. easily one of your most interesting post. and anyone who knows Ah Weng kor and love his cham knows his coffee LOL..
keep it up motorman you are the best..
of course I’m a little bias here because my father was Hainanese and he ran a kopitiam for over 30 yrs.. would you know where to find the best cupcakes in KL/PJ? Best cupcakes? Eh … let me see … back then cupcakes were all the craze. And Wondermilk, Cupcake Chic and whatnots started sprouting everywhere. Then the hype died down. I ain’t a cupcake fan though, hence can’t help you much here. Ney it’s okay just ask for fun but you’ll never know though.. but I’ve been dreaming about that auntie in Ipoh who bake them delicious looking butter cakes.